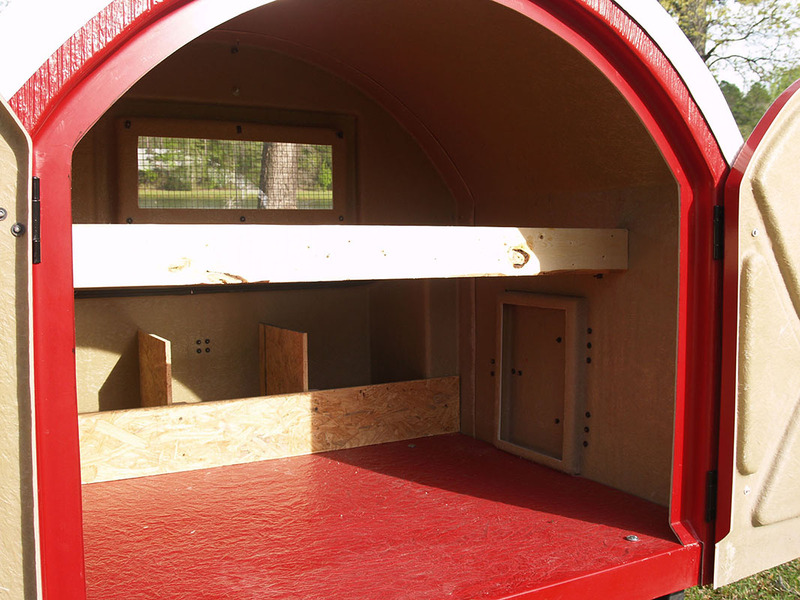 Our 4' x 4' Quonset hut chicken coop includes 3 nesting boxes with a lockable lid. 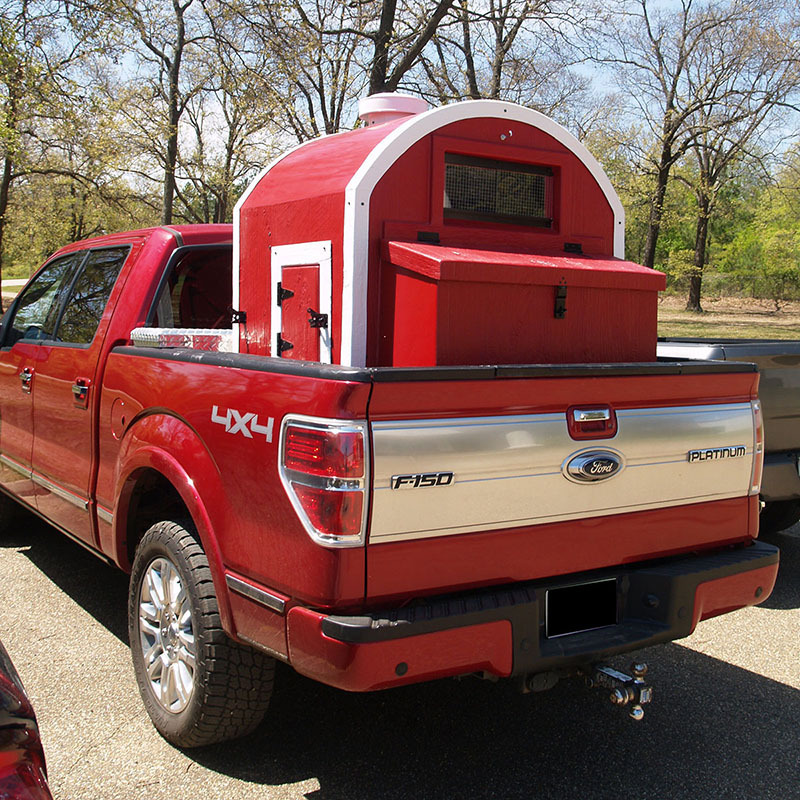 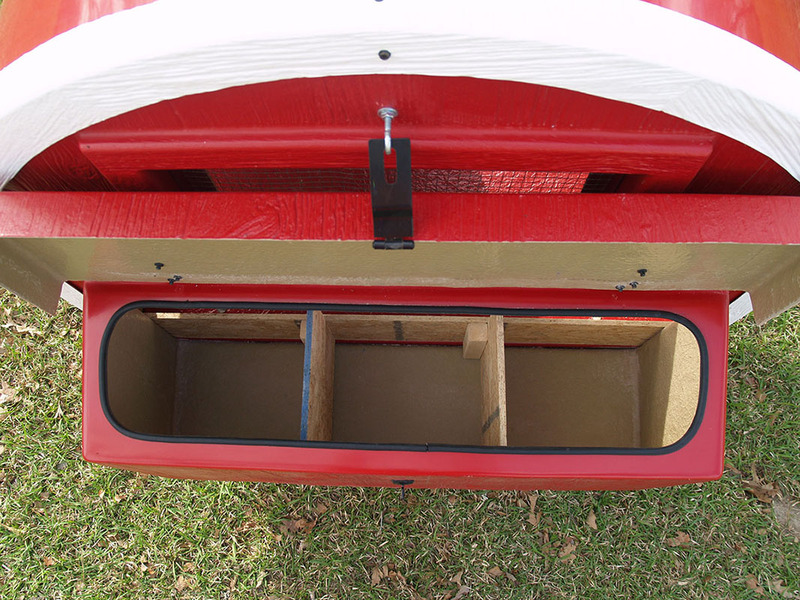 There are two doors in the rear with a locking door handle for accessing the main area. 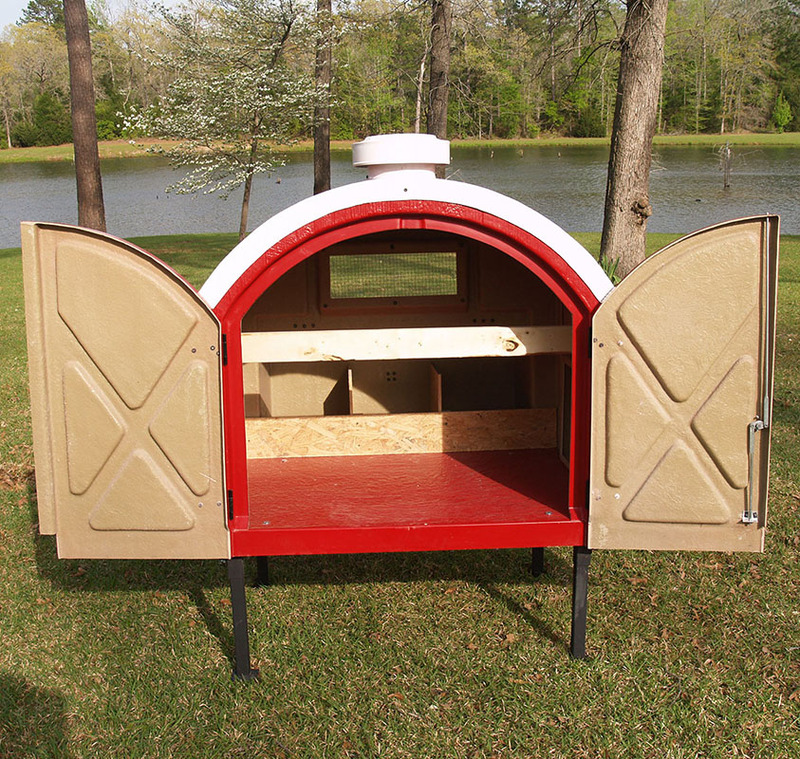 The chicken door has two locking latches for the open/closed positions and can be located on the left or right side of the coop. 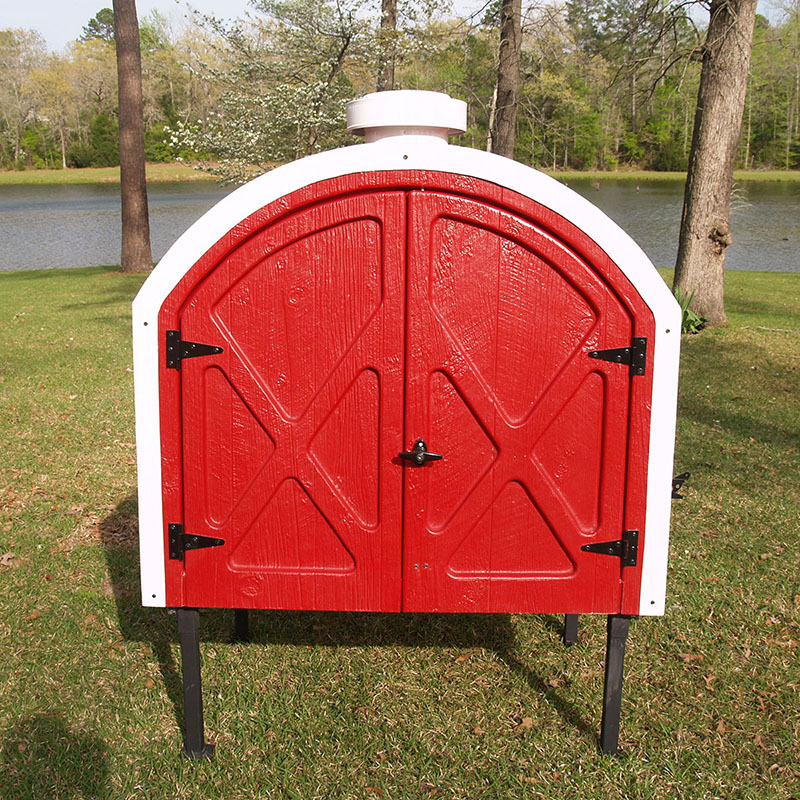 An 8" round vent on top is standard and will match the trim color selected. 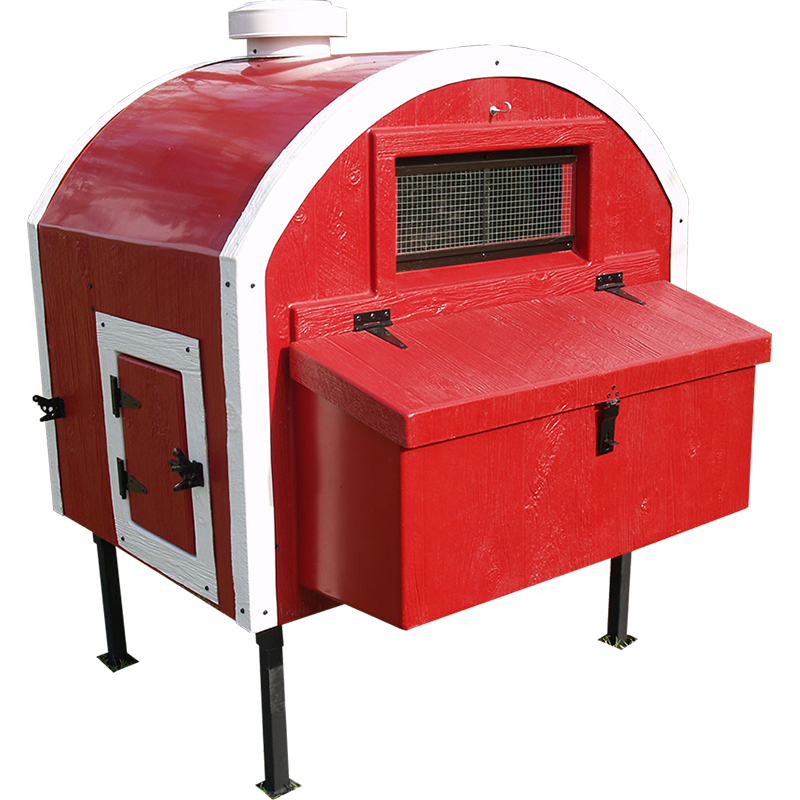 The vent can optionally be purchased with a solar powered fan for even more ventilation. 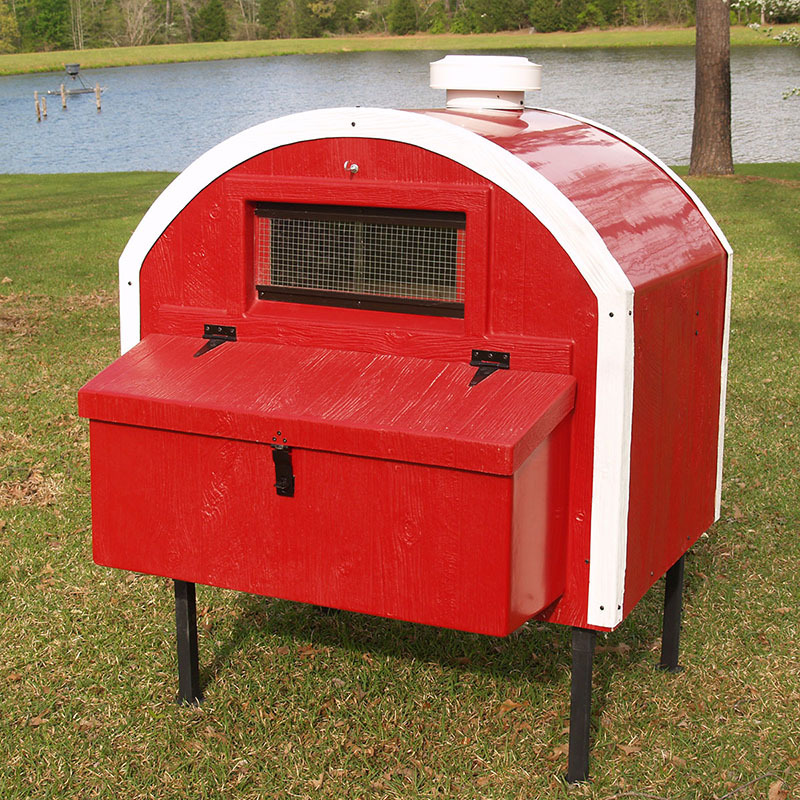 On the front above the nesting box are two sliding acrylic windows with wire screen. 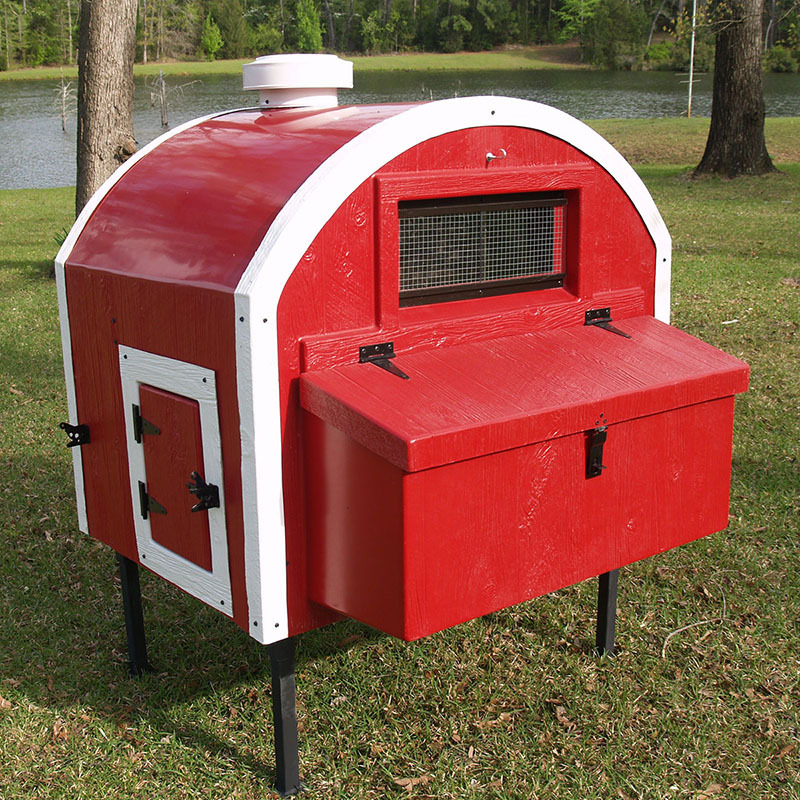 When selecting the chicken door entry choose left or right while facing the nest box on the front of the chicken coop. 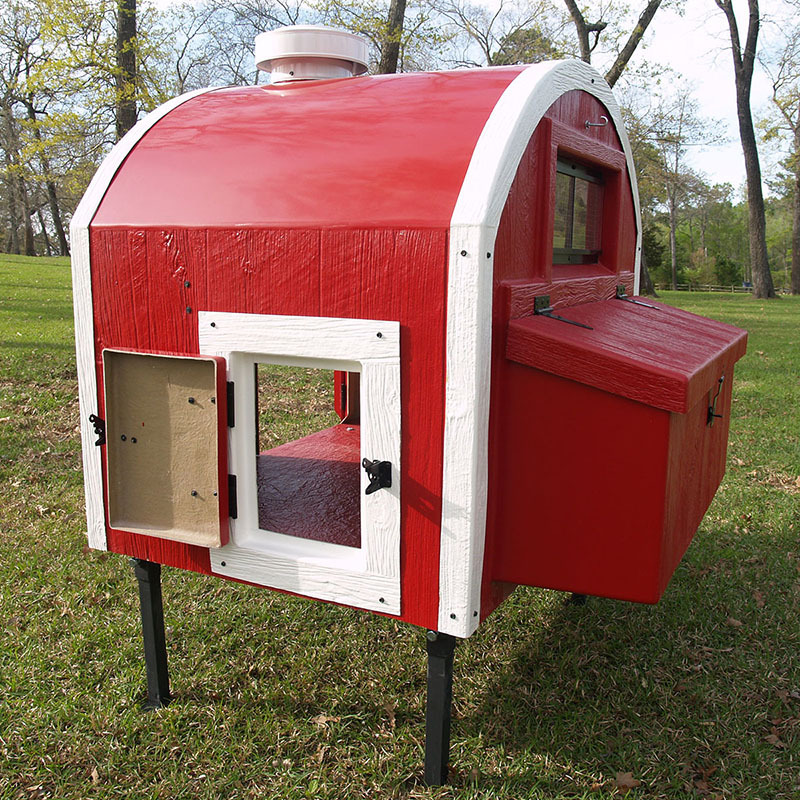 Or choose doors on both side of your chicken coop.